NSSLGlobal is enhancing their value-added service proposition with the launch of Cruise Control+. This brand new virtual platform is designed to provide maritime companies with a secure, integrated solution for managing all aspects of voice and data communications, as well as IT services, on board vessels. It also enables a seamless remote deployment and delivery of new value-added services, the hosting of customer applications with no additional hardware required, while also providing an option for customers to outsource their onboard IT services through the virtual appliance capability. NSSLGlobal’s Cruise Control+ appliance is installed locally on board a vessel and is designed to help maritime customers manage their vessel's corporate, vendor and crew welfare networks to ensure maximum efficiency and cost-effectiveness. The multitude of services offered goes beyond on board communication to include automatic beam switching, out of bandwidth management and an integrated SIP PBX. The security and onboard network management features include a split VLAN network which allows for a secure separation of corporate, crew and vendor networks; traffic prioritization; robust firewall controls and an optional embedded VPN service. 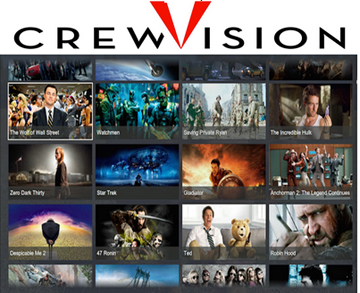 Cruise Control+ also enables an enhanced level of crew services including crew UNITE (the NSSLGlobal welfare internet portal) and CrewVision, an acclaimed crew entertainment service that provides news, high definition films, sports and TV programs, all without affecting the vessel’s bandwidth. Using the new virtual machine feature of Cruise Control+, customers can opt for a range of managed IT solutions, including a state-of-the-art Unified Threat Management service, a Windows 2016 server solution, and a managed antivirus solution — all optimized to work efficiently over a satellite connection. Sally-Anne Ray, the CEO of NSSLGlobal said that the new virtualized platform represents a key strategic milestone for the firm, as the company is able to offer a cost-effective, single-server solution for seamless management of communication and IT services to maritime customers around the globe. More information about NSSLGlobal’s new Cruise Control+ solution will be debut at SMM 2018 in Hamburg. NSSLGlobal’s stand will be located in Hall B6, Stand 514.